Donald D. Goehler, FASM, passed away on December 15, 2015. 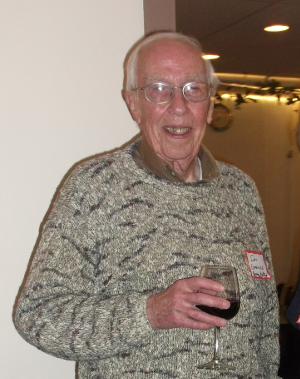 He was born in Portland, Oregon in 1930 and joined the Puget Sound Chapter of ASMI in 1957 where he held every office and committee position, serving as chairman, membership chair, and most recently communications chair. He was also the ASMI Chapter representative on the Puget Sound Enginerring Council and treasurer of PSEC between 1996 and 2010. He was a real PSEC champion, promoting it at every turn. He was nominated for the Allan Ray Putram Service Award for his service to the ASMI Chapter in 2004, in recognigtion of his then over 40 years of continuous service. Goehler received his bachelor’s degree in metallurgial engineering from the Montana School of Mines in 1962 and joined the Boeing Co. in 1966, where he rapidly progressed to engineering manager, materials technology, a position he held until he retired in 1995. After retiring, he continued as a volunteer engineer at the Museum of Flight in Seattle where he worked on restoration of the Boeing B-29.